We know you play Forntite! Well everyone does at this point. After being ported over to Android and IOS, it has become the highest grossing video game of all time netting its developer Epic Games over $3 Billion in revenue. With this type of wild success at its back, Fortnite is riding the wind in 2019. And Epic is releasing updates to make the game even more easier to jump into. Recently Forntite received patch 7.30 which introduces a feature fans have been wanting since the game first launched. 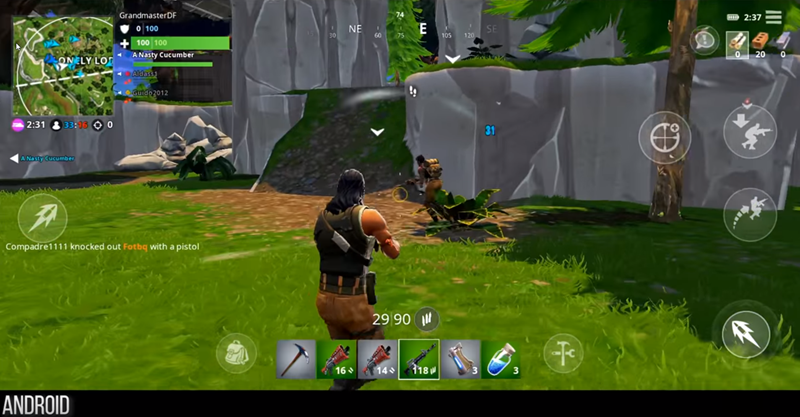 Fortnite now supports controllers on both Android and IOS. Why does this feature makes so much sense? Fortnite is a cross platform games. That means players on Android can compete directly with their friends on IOS, Consoles and even PC. Players on PC can use mouse and keyboard for shooting games which puts them at a big competitive advantage. Same things can be said for console players as well who use controllers. Keeping that in mind, mobile players are at a huge competitive disadvantage. With their unreliable and wonky touch controls players on Android and IOS just couldn’t compete let alone win matches. Epic Games finally addressed this issue in todays patch 7.30. Players on Android can use any Bluetooth enabled controller to play. While things on the IOS side are a little bit more complicated. Since IOS doesn’t support 3rd party Bluetooth devices, you have to use compliant devices which support MFi. Aside from this feature, the new update brings some new weapons such as new Grenades. There is also a new limited time mode where loot boxes will contain legendary items and such. Numerous bug fixes and small improvements are also in tow. So be sure to check this update out if you haven’t already.Now you mobile geeks have no excuse to lose matches. And don’t forget to tell us how the controller support is treating you in the comments down below.